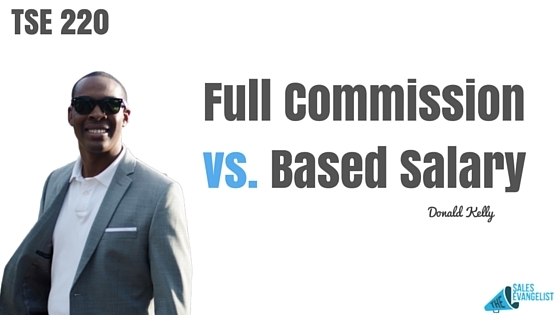 Full Commission vs. Base Salary: Which should you go for? I get this question quite often so in this episode, I’m gonna put my two cents in. You see, I’ve basically done everything. I’ve done jobs on full commission, jobs that offered base salary + partial commission as well as jobs with just the base salary, no commission. So, these are the things I’ve done early in my career. 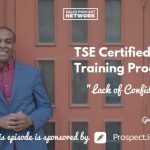 While I was still in college, I worked for an IT training company where we sold IT training classes and I brought in over half a million dollars in revenue in my ten years with the company. I had the option to either go on full commission or just get the base salary. The cautious Donald obviously went safe and I agreed on getting full salary because I was afraid. Kablaam! I totally wish I had done the full commission, looking back. I probably could have performed a little bit more and earned more money. Not too bad though because I was still able to buy a car, help my family, and take care of myself. So, learning from that experience. I did door-to-door security which was based on full commission. Yes, it can be lucrative but understand that you have to hunt for you to eat. No base salary, therefore, you need to sell if you want to make money. Period. In each of these circumstances, I was single and I had nobody else to take care of but myself. Now what if you’re married or with kids or have a mortgage to take care of? Decrease the base, increase the commission percentage. Try to negotiate in your contract if you can have the base salary that gradually declines over a period of time while of course increasing your commission percentage. The company can treat you as a vendor or consultant in a sense so you get a large portion of your commission every month without worrying about other things. Then you can negotiate not going to the office everyday or working from home. But… you have to have a proven record to show this. How? Start off working with the company. Show your worth, then go hustle for the 10-99 (wink!). One thing you need to check off your list though: Get a really good accountant to help you out with the taxes and all.